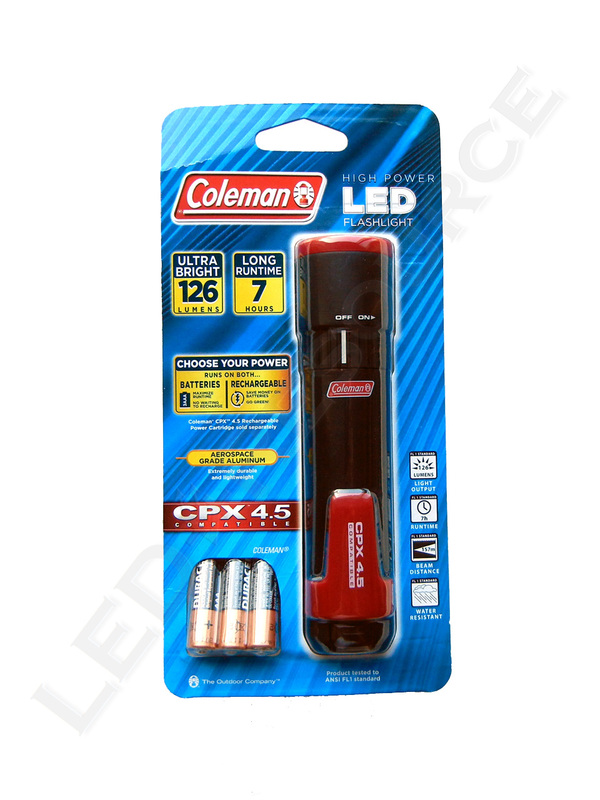 Compatible with the Coleman CPX 4.5 Family, the CPX 4.5 Flashlight puts out 126 lumens and runs for up to 7 hours. 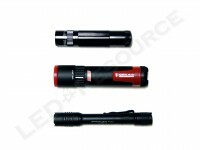 A simple no-frills flashlight is a good choice for household use, as it won’t confuse users with fancy modes or multiple button presses. 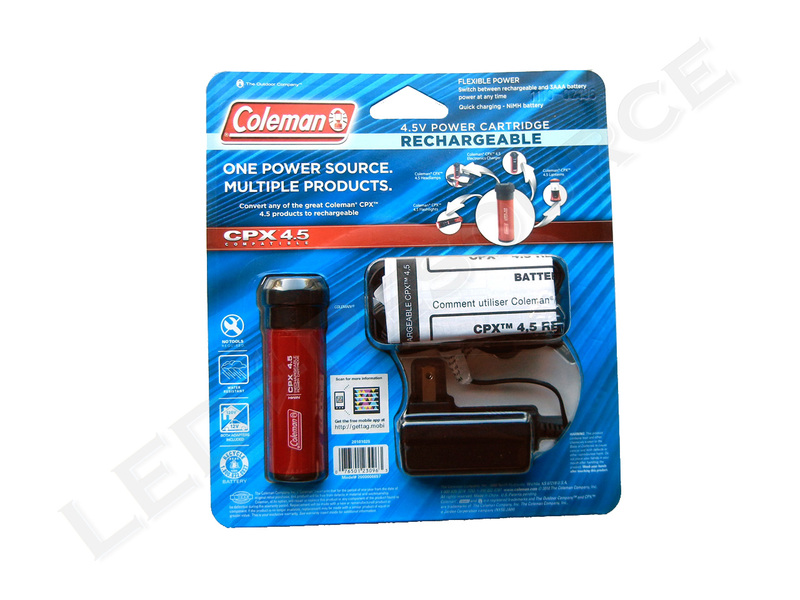 The ability to swap batteries between other CPX 4.5 products, such as the CPX 4.5 headlamp or lantern, single output, and ease of use characterizes the Coleman CPX 4.5 Flashlight that is up for review. 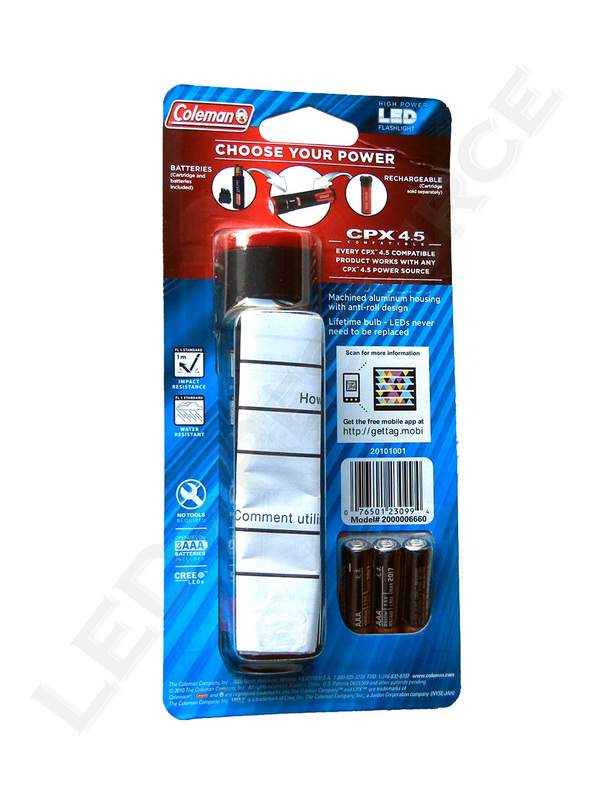 MSRP for the CPX 4.5 Flashlight is $34.99. 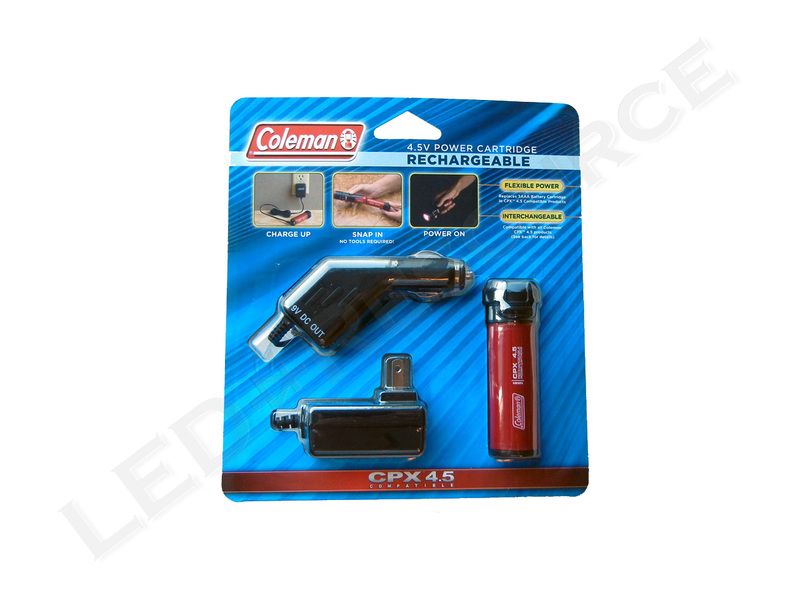 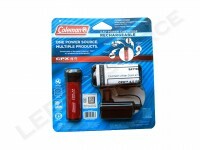 Included in the blister packaging are: Coleman CPX 4.5 Flashlight, 3 x AAA Duracell alkaline batteries, and user manual. 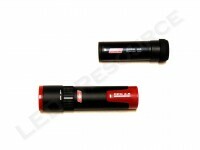 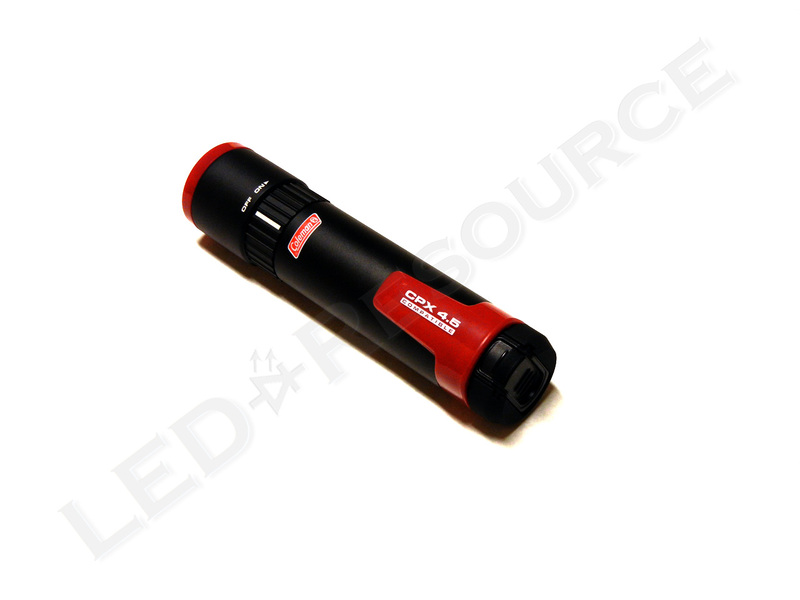 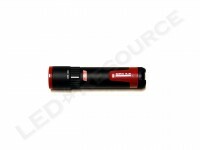 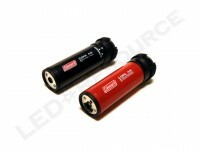 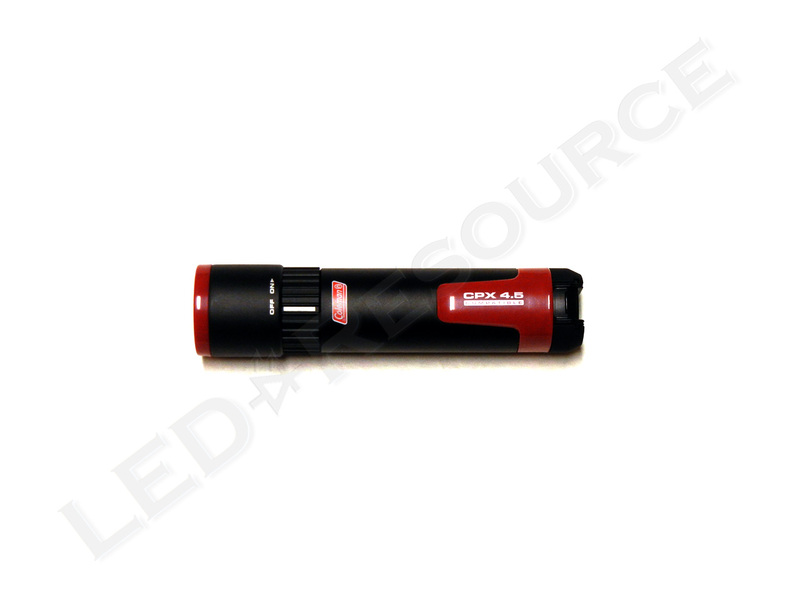 The CPX 4.5 Flashlight uses either the included 3AAA cartridge, or the optional rechargeable pack. 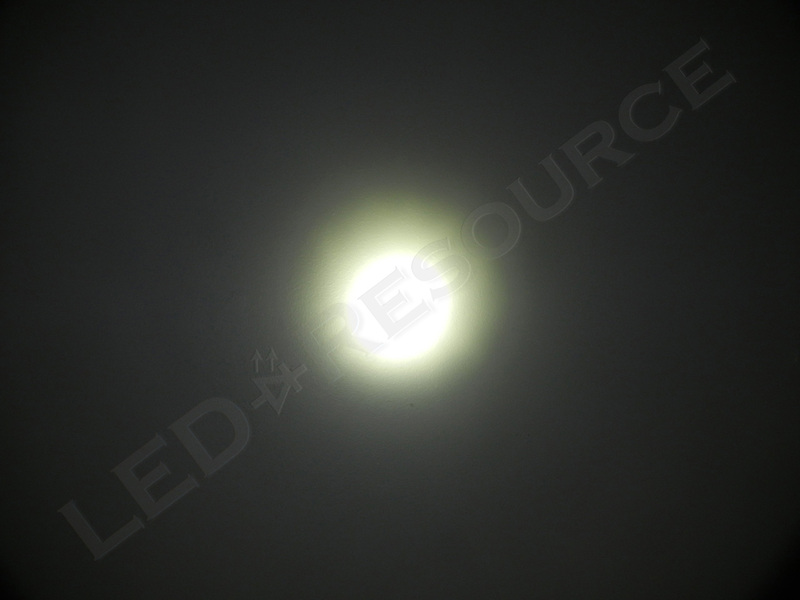 The head has a plastic window and bezel, and a lightly textured reflector. 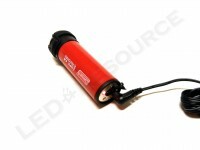 The body of the light is made of anodized aluminum. 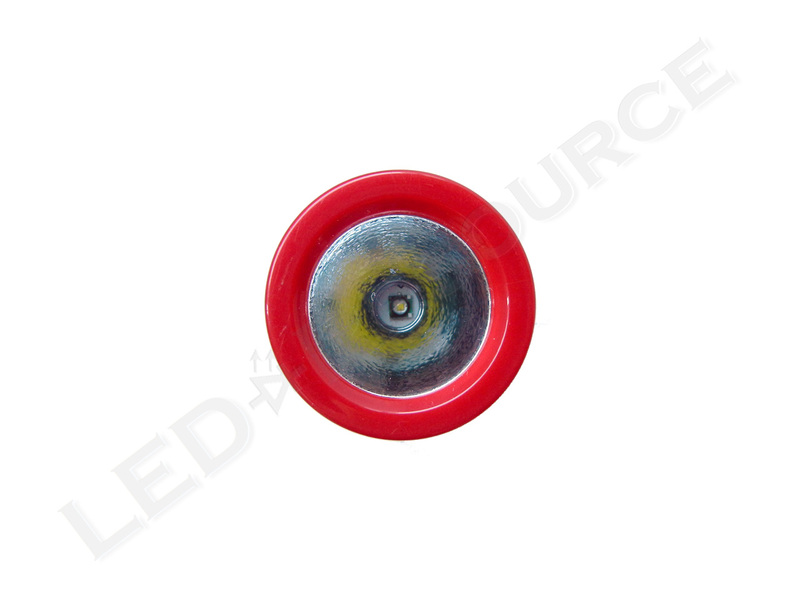 A ribbed twist switch, which clicks when turned all the way, makes the light easy for both the young and old. 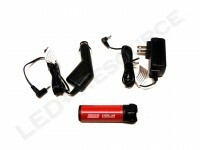 Red plastic aligns the battery pack and also functions as anti-roll design. 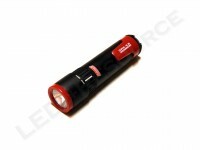 The CPX 4.5 Flashlight has a single output mode. 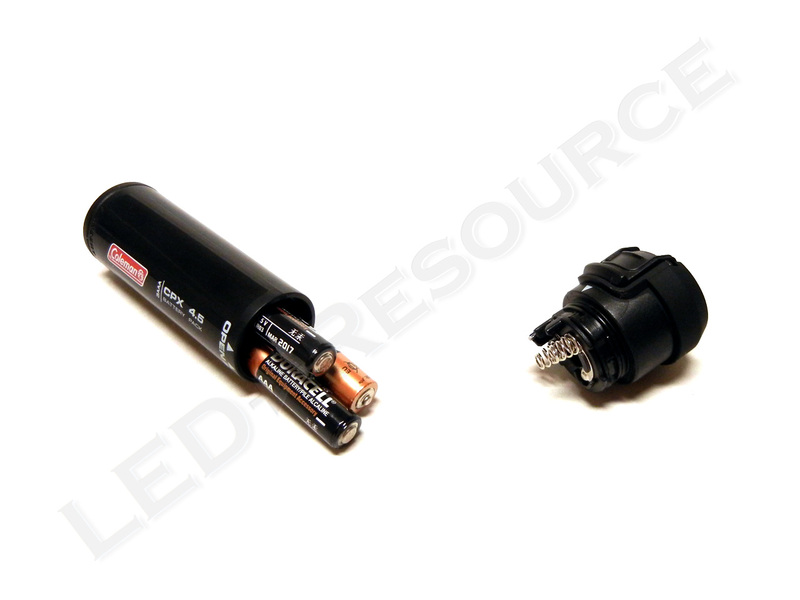 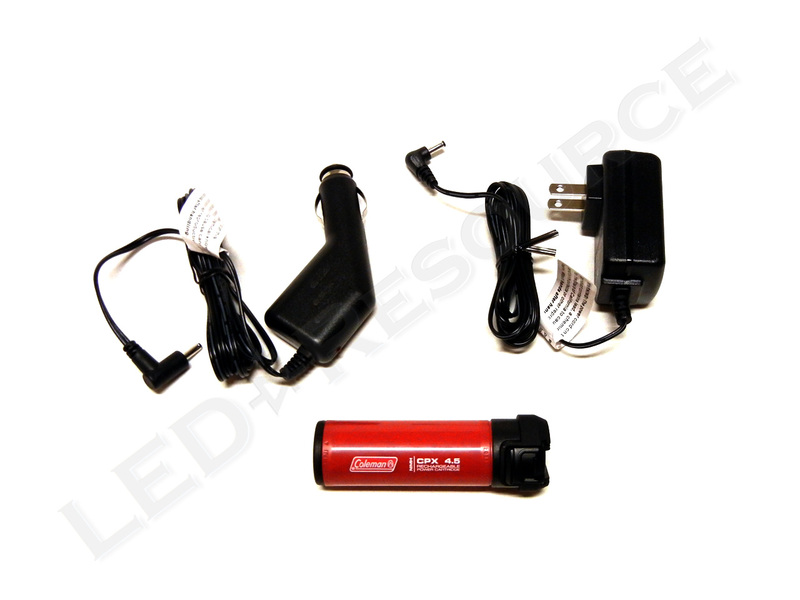 On alkaline batteries, the Cree XP-C LED produces 126 lumens on high for 7h. The shallow reflector produces a wide beam with a small hotspot in the middle. 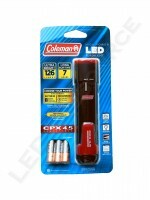 Had the Coleman CPX 4.5 Flashlight been half the price, we would have no problem giving it the thumbs up. 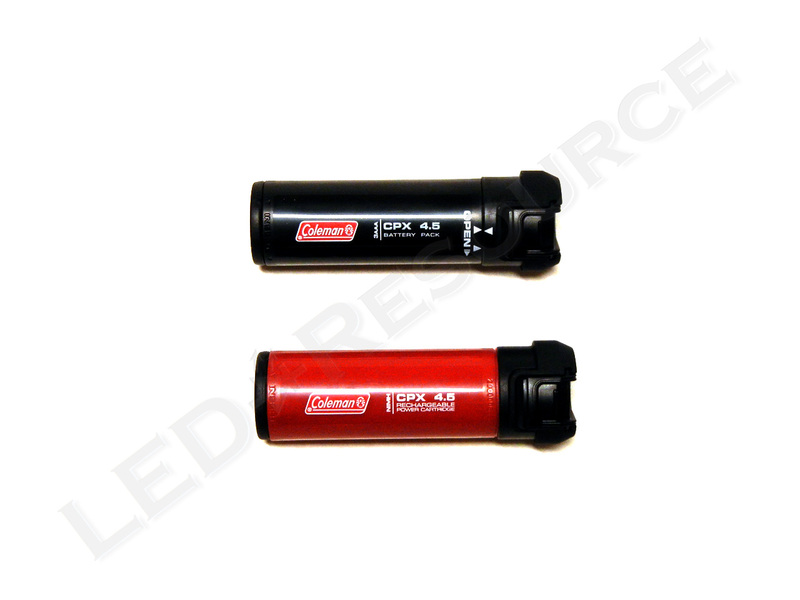 However, the MSRP does reach into the price range of more performance oriented lights, so the verdict would be to consider the price first. Pricing aside, the CPX 4.5 Flashlight is a solid choice for home and outdoor use. Is it possible to replace the light bulb? Unfortunately, LED modules cannot be replaced without having some soldering and electronics knowledge.